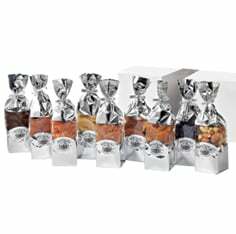 The Orchard's Best Six-Sampler Gift Set from Meduri World Delights is a fun way to taste and compare a variety of all-natural dried fruits. 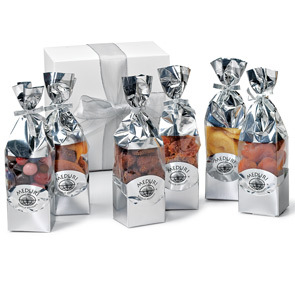 Give your favorites to a special someone with this sampler set elegantly gift-boxed. 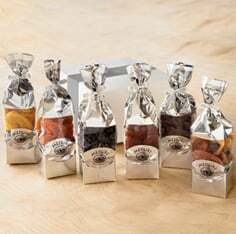 Each fruit flavor is sealed in a gleaming mylar 6oz packet. Includes: Double Red grapefruit slices, Cinnamon Fuji Apple Wedges, Camerosa Strawberries, Sweetglow® Apricots from California, Double-dipped Chocolate Covered Fruit Mix and Marco Polo Mix. 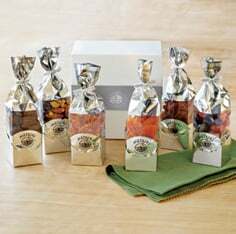 Shop for gourmet, all-natural dried fruit sampler sets at Meduri World Delights!